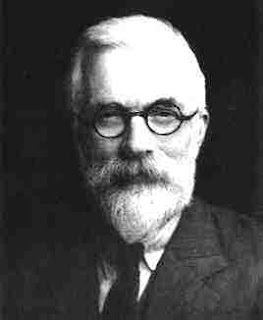 Ronald Fisher on positive alleles for intelligence, in Mendelism and Biometry (1911). Suppose we knew, for example, 20 pairs of mental characters [loci in the genome]. These would combine in over a million pure mental types; each of these would naturally occur rather less frequently than once in a billion; or in a country like England about once in 20,000 generations; it will give some idea as to the excellence of the best of these types when we consider that the Englishmen from Shakespeare to Darwin have occurred within 10 generations; the thought of a race of men combining the illustrious qualities of these giants, and breeding true to them, is almost too overwhelming, but such a race will inevitably arise in whatever country first sees the inheritance of mental characters elucidated. The amount of variation in intelligence within a particular family is almost as large as in the population as a whole, mainly due to the diploid nature of our genomes (half of the genes come randomly from each parent). Thus, as Fisher noted, superior characteristics do not "breed true" (see earlier discussion of regression and the residual SD of about 12 even after parental midpoint is fixed; note what is commonly referred to as regression to the mean has a large environmental component, which is distinct from what is discussed here). It is unlikely for a particular descendant to inherit most of the positive variants from both the mother and the father. If loci with positive effect on intelligence were identified, and selection performed on gametes (or zygotes), one could ensure offspring with many more advantageous alleles than normally obtained by chance. We would obtain the best from the set of possible offspring of a given mother and father. A process of this type can be thought of as a Maxwell's Demon of reproduction -- it suppresses fluctuations of the wrong sign. PS I thought about titling this post They Might Be Giants, but the statistical mechanic in me won out :-) Fisher was well aware of the parallels between his use of multivariate statistics in genetics and the corresponding application in the theory of gases.